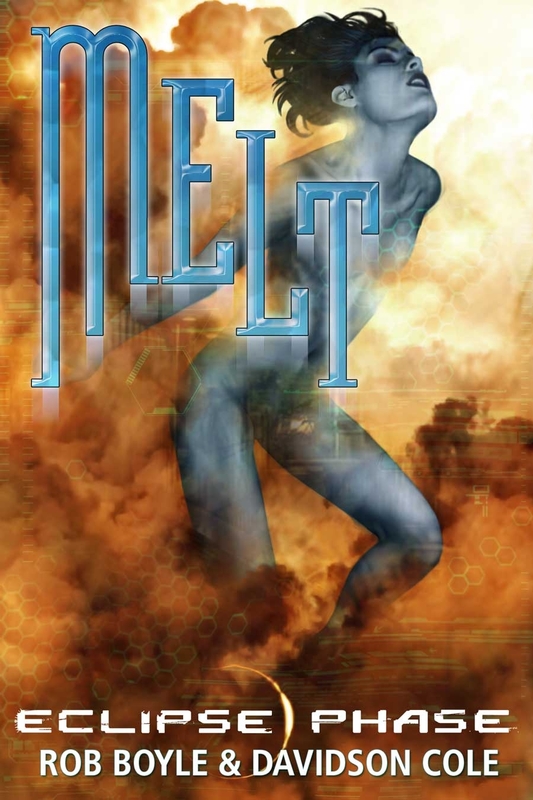 This version of Melt contains 3 files for different electronic book readers: ePub, PDF, and MOBI (Amazon Kindle) format. It won't sync wirelessly to your Kindle, though; you'll need to connect it via USB and drag it over. "It’s simple, really, to wind up on the winning side when you’ve created the winner. And the loser." The political chess match between the dominant Planetary Consortium and the newly-independent Morningstar Constellation on Venus threatens to ruin the lives of three individuals caught in the plot of an immortal oligarch. “Melt” takes place in the Eclipse Phase universe. The story appears in Sunward: The Inner System. If you just want the PDF version of Melt and you also want Sunward, you should buy only Sunward! Also, please be sure to tick the box that allows us to send you notices about updates -- that way, when we make corrections, you'll get notified about it right away! This title was added to our catalog on July 06, 2010.